This review contains spoilers for the printed version of The Little Prince, but don’t worry; the movie remains unspoiled here. Please read the book if you haven’t already. There are children’s books. There are really imaginative children’s books. There are even mind-openingly-imaginative children’s books that you just keep wanting to come back to. 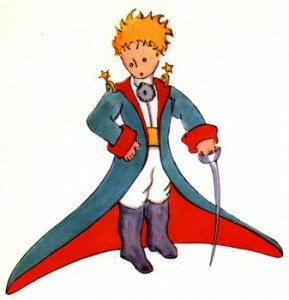 And then there’s The Little Prince. Antoine de Saint-Exupéry somehow managed to tap into a brilliant wellspring of imagination when he wrote Le Petit Prince over 70 years ago. It handles, with depth, themes of love and loss; sacrifice and devotion; help and fear. But one of its most enduring themes is that of importance. When you get right down to it, we all have very different definitions of what constitutes “important.” The narrator of The Little Prince experienced this problem through a drawing he made as a child. Prince‘s narrator doesn’t hold much stock in the important things of adults. And when you think about it, a lot of the things we hold important are silly; transient, joyless items and concepts that don’t bring us joy or wonder, that don’t give us a greater love. And as a result, no one truly knows him. They know about him—his name, his rank, his profession—but they don’t know him. Not knowing someone at their core goes far beyond mere statistics. Of course, on a site like Redeeming Culture, it’s probably not exactly earth-shattering news that we believe that. But it’s still true: the things we imagine, whether individually or as a culture, give “a much greater air of truth to” the stories of our lives. How many times have you explained something in terms of some fictional universe, or identified so closely with a character in a story that you found their mannerisms and syntax slipping into your daily life? But more importantly, there is a Truth deeper than fact; and that truth runs through each one of us. We are luminous beings, a product of where we’ve come from and the things we find important, and the Truth that makes us up is far more important than any mere information that can describe us. Oh! You think that is not important! But the most weighty part of the Truth which runs through us is probably the love that we hold. The things we hold important may be stripped away. All that we are may be taken from us. 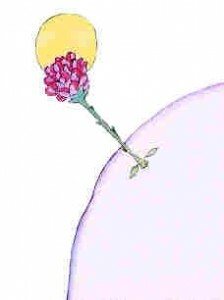 But as long as we hold on to love for something or someone, we can remain tethered. There is another out there whose presence we can count on. So what love can we rely on so closely? Obviously we must answer that question. If we love a fragile flower amidst the sheep, our love will die when the sheep become hungry. If we love a distant, impersonal force, it will never be reciprocated. But what if we loved a Person instead? You may have heard of the Woman at the Well. It’s an encounter that Jesus has with a sinful woman in chapter 4 of John. The woman, a Samaritan, discusses living water with Jesus, before He calls her out on her sin and calls her to repent. With that, she tries to change the subject. And in Jesus’ response, you see her wrestling with what is truly important; what is truly lovely, what is truly true, deeper than any fact. She sees His words as unimportant and painful, trying to redirect the subject to something she thinks is truly important. But Jesus sees right through it; and with only a few words he lets her know that the facts of the worship—its statistics—aren’t as important as the truth He embodies. His important things might seem silly to us, but it is really our important things: our worries, our fears, our petty loves and affections, that become of no consequence when seen through the light of His importance. Redeeming Culture will be waiting with bated breath to see the release of The Little Prince next week, and we’d love to hear your thoughts on the beloved French story. It is rich with loving metaphor for redemption: the fox, the sheep, the prince, and even the asteroid the Prince lives on. If you’d like to give us your take, comment below, or contact us. Quotations from the English version of The Little Prince are © 1943 Antoine de Saint-Exupéry, trans. Katherine Woods. This entry was posted in Literature and tagged Antoine de Saint-Exupéry, le petit prince, the little prince. Bookmark the permalink.